Actually, there are literally hundreds of reasons why Bono belongs on the #DickheadDetox but most of them are encapsulated by the word annoying. Or, hypocritical. Both are equally valid. Mostly, he’s on my #DickheadDetox for his decision, and the rest of U2, to take advantage of Ireland’s tax laws and placing a portion of their income in the Netherlands to reduce the amount of tax they pay. Granted, this isn’t exactly new behaviour for rich white men. Everyone knows that tax laws are designed to protect the rich from paying their fair share. Just look at how many corporations pay little to no tax at all. The difference between Bono and, say, Phillip Green is that Green doesn’t prance around babbling about an end to world poverty. U2 paying full tax in Ireland would involve a substantial increase to government revenue which could be used to fund healthcare and social programs. Since Ireland isn’t exactly the richest country in the EU, this could have an immediate benefit to the state. 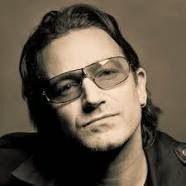 If Bono wants to dodge taxes, well, there’s not much that can be done about it but please don’t then bang on about an end to world poverty when you have more than enough money and houses that could make a significant change to people’s lives [and this goes for the rest of the entertainment industry and their obsession with hosting “benefit” dinners rather than funding social programs]. Capitalism is the reason why the vast majority of people living on this planet live in poverty, many without access to clean water, food and basic sanitation. People who pay for their favourite hat to be flown across the world need to examine their own priorities before lecturing others. A note, and a warning. If Bono wins, I shall end this live blog immediately and lie down in a darkened room for a while. It’s unlikely – he’s 100/1 with the bookies – but I thought I should mention it. My editors have agreed to this condition.